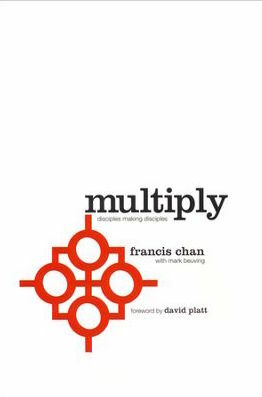 Below is my reading reflection on Multiply: Disciples Making Disciples by Francis Chan and Mark Beuving. Francis Chan is a pastor and church planter based in San Francisco, while Mark Beuving is an associate professor of interdisciplinary studies at Eternity Bible College. Their book Multiply: has a statement by David Platt that summarizes the essence of the entire book, which is… “being a disciple of Jesus Christ has always been to make more disciples”. The goal of the book is to help individuals understand Scripture and provide the tools to disciple others. There are two requests by the authors to the reader, which are “teach what is learned and share life—not just information”. A summary and evaluation are included in this reading reflection. Multiply is divided in five sections with a final visionary chapter. Section one illustrates what it means to live as a disciple maker. The authors explain that the term disciple refers to an apprentice or student that follows after Jesus Christ in order to be like Him. Jesus gave the command to make more disciples with the instructions in the Great Commission according to Matthew 28:16-20. “A disciple is a disciple maker.” According to the authors the heart of a disciple maker realizes that only teaching is dangerous, love must come first and then teach by examples. Section two discusses life in the church. The authors affirm that this is a challenge for Western culture because of self-identification with individualism; nevertheless, Christians must learn to fulfill their call to disciple through the God ordained vehicle the church. Disciples must learn to devote their skills to the members of their local church because it is a responsibility to challenge, love, and serve each other. Additionally, disciples are to take God’s redemptive plan out of their local church communities into every town, city, country and continent on planet earth through collaboration, before the end. In section three, the reason for studying the Bible is addressed. This is critical, so that disciples will know what Jesus commanded of them in Matthew, as well as, all the rest of God’s recorded word. Furthermore, the bible should be studied prayerfully and obediently according to the authors. Disciples should study the Bible ” to be devotionally, obediently, in faith with prayer and understanding for transformation. Hence, Bible studying should be logical. Since we are studying the very words that God use to communicate to us His message for us. The Bible must be studied with consideration to grammatical, historical and literal context as well as scriptural interpretation, application and meaning. In section four the authors invite the reader to embrace understanding the Old Testament topics of creation, the fall, God’ covenant with Abraham, Exodus and redemption, God’s covenant with Moses, sacrifice and atonement, God’s presence on the earth, the Kingdom of God and Israel’s exile and the promise of restoration. The authors deem it important that disciples understand the nature of God, the world He created, and the incredible plan of redemption that unfolds as He creates a people for His own glory. Section five provides information to help disciples understand the New Testament. Understanding the divine and earthly personhood of Jesus Christ, the Great Commission, the Holy Spirit, the early church, the good news of the Gospel for all nations and the end of the story provides a comprehensive Christian perspective for discipleship. From the moment that Adam and Eve sinned, God had a plan for the redemption of the human race through Jesus Christ. According to the authors, this plan involved a Messiah who would come through the linage of David and establish a new covenant that restored the broken relationship between God and His people. 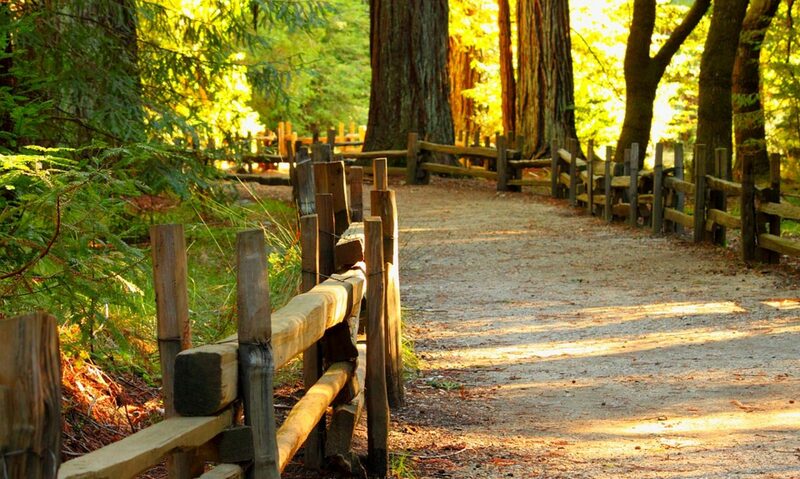 The final chapter concludes with the visionary question of “Where do we go from here?” This clear straight forward question challenges the reader to realize that completing the previous chapters in not the end. Chan admonishes the reader to comprehend that reading about the Bible is not an alternative for reading the Bible, continuing to make disciples and finding someone else to share Multiply with as a means to supporting discipleship. The book Multiply was written in an easy to read format that contained a wealth of familiar material as the major strength of the book. The authors addressed the process for making disciples in relationships to all the major doctrines of the Bible. Moreover, the concise materials in the book aptly summarized biblical actions from the Old and New Testament. Retelling the redemptive plan of God from Genesis to Revelation. This presentation was great for new Christians and veteran Christians that needed a refresher. Hence, those of us who are fascinated by the awesome power of God’s word every time we encounter it. I enjoyed the material so much that I found myself getting detained with the fascinations of each biblical story. I read and reread. For Chan presented the information in a very figurative, realistic and captivating manner that keeps the reader engaged. In a manner that allows the reader to connect what they already know and bridge that knowledge with the new information that the book presents.Other strengths included theology and additional material that was simplified for accurate and clear understanding through nonacademic terms. Such skills, transparency, and familiarity of scriptures are obviously the talents of master scholars, well versed in their craft. Furthermore, the book was suitably appealing for the layman or scholar, novice or experienced Christian. I took time to visit the website https://www.multiplymovement.com and thoroughly look around. The site contained encouraging, engaging and substantial materials, information and contacts for pastors, ministers and layman alike that needed church resources. Most resources were available at no cost. There were also worldwide missionary projects taking place on the stimulating visionary website. It is clear from the abundant resources that the authors of Multiply, exemplify what they teach. Additionally, other Christian thinkers, such as Dallas Willard reminds us that this is the last command Jesus gave to the church before he ascended into heaven, the Great Commission, the call for Christians to make disciples of all the nations of the earth. Also, Faulkenbury concurs that it is important that church planting takes place locally and around the world. Christians must acknowledge that it is important to meet the needs of the unique local communities and to reach the unchurched globally, with the message of the Gospel. Finally, I think that the book addressed its main premise of instructing disciples on their purpose as disciples. While it did not address the character of the disciples, I did not consider this a weakness, but maybe a topic for later discussion. I observed from Multiply that the authors literally interpreted a disciple to be a Christian and therefore, maybe, it was understood that disciples have the attributes of the Master Teacher. Francis Chan and Mark Beuving, Multiply: Disciples Making Disciples, (Colorado Springs: David C. Cook, 2012), 7. Francis Chan and Mark Beuving, Multiply, 51-63. Ibid., Francis Chan and Mark Beuving, Multiply, 139-222. Francis Chan and Mark Beuving, Multiply,139. Dallas Willard, The Great Omission: Reclaiming Jesus’s Essential Teachings on Discipleship, (Grand Rapids, MI: Zondervan, 2006) 57. Terry Faulkenbury, “Church Multiplication.” LU Presentation. 2015.